Surrounded by coral reefs and home to swooping hornbills and flying lizards, Koh Ngai is a perfect jungle-clad island in the Andaman Sea and a slice of paradise in Thailand. It is hard to know where to begin describing this island. We love it here! We have visited three times and have spent over a month on this tiny island where essentially there is nothing. Nothing except gloriously warm turquoise seas, fine weather, good value hotels, great snorkelling and perfect views across to karst islands. 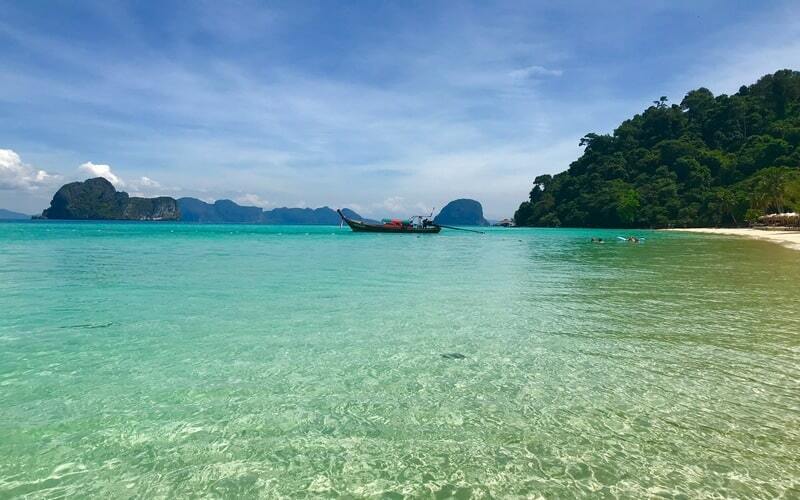 In this guide to Koh Ngai we will give you the full lowdown on everything the island has to offer, how to get there, where to stay and what to do. We warn you now that coming here temporarily killed our island hopping dreams as nowhere else could quite match up. Koh Ngai is a small, roughly triangular island that is around 4 kilometres long and 2 kilometres wide. It is officially in Krabi province but is generally referred to as one of the ‘Trang Islands’, along with Koh Kradan, Koh Mook, Koh Libong and others. It is a beautiful island with a jungle interior and a couple of perfect white sand beaches. Despite this natural beauty, the tourist hordes haven’t yet descended here en-masse and it remains a low key place with just a string of small scale hotels. The island is ideally suited to couples and families, those looking for parties or a taste of local culture should look elsewhere. Koh Ngai is also known as Koh Hai. I believe that this is a spelling that has been adopted to try and help tourists to get somewhere close to pronouncing it correctly. It is really hard to say it right and I had to resort to pointing at the word when trying to arrange transportation. Pronunciation aside, it is an easy place to get to, especially in high season when a range of ferries and speedboats make it an ideal stop off on a Thai island hopping itinerary. The speedboat companies are really well organised meaning that you can come here straight from relatively far away islands like Phuket, Phi Phi or Lipe, possibly changing boats once or twice. Ferries and speedboats also link the island with Koh Lanta where collection/drop off at your hotel in Lanta will be included in the price of your ticket. To the south you have plenty of options as ferries and speedboats will whisk you off to Koh Mook, Koh Kradan, Koh Libong, or onwards to Koh Lipe. If you are coming from the mainland or out of high season your best bet for accessing Ko Hai is the ferry from Pakmeng Pier near Trang. When you arrive at the pier by Koh Ngai Resort you can catch a longtail boat to your hotel as there are no roads, no cars and no motorbikes on the island – bliss. Koh Ngai is home to our favourite beach in Thailand. 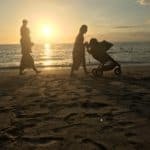 Check out some other great beaches in our post of the best beaches in Thailand for families. 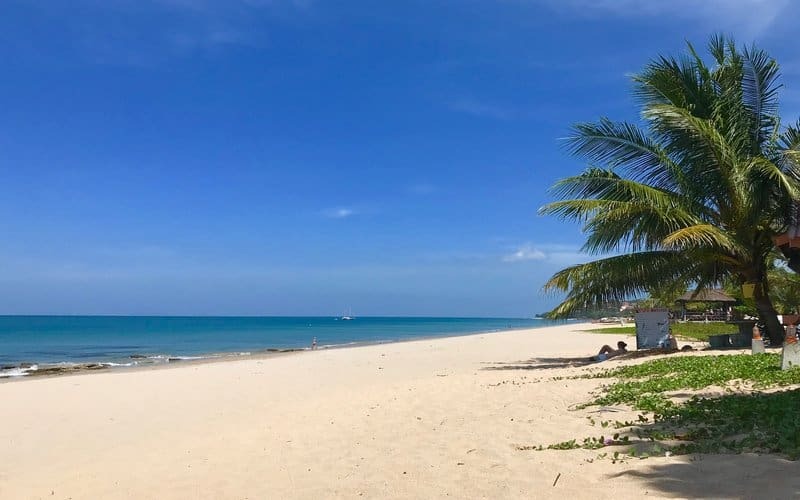 There is not a huge amount of things to on Koh Ngai, relaxing on the beach, paddling in the sea and soaking up that view is surely the main activity, but we have found plenty to keep us occupied in the combined month that we have spent on the island. 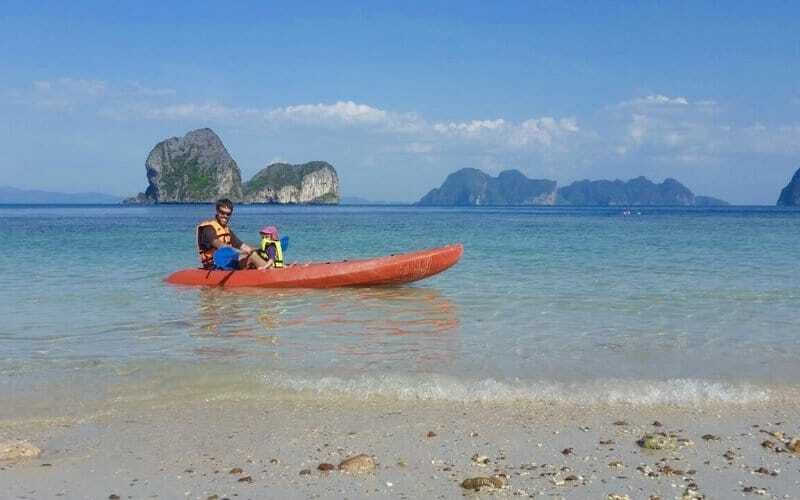 Warm calm seas make Koh Ngai an excellent location for kayaking. I really recommend paddling round from the main beach or Koh Ngai Resort to the aptly named Paradise Beach on the south side of the island. On the way, you will pass a rocky stack and caves that have been carved out by the action of the waves. You will pass a deserted beach and float over the best snorkelling spot on the island. Why not jump out and see what you can find? Beyond Paradise Beach, there are a few small beaches that you can pull up on to have a well-deserved rest on what will most likely be a beach all to yourself. The tiny karst islands of Ko Maa, Ko Chueak and Ko Waen that form the backdrop to the wonderful view also make for enticing destinations to head out to on your kayak. They hide some great spots for snorkelling but there are no beaches to land your kayak so bear that in mind when planning your trip. Several places rent kayaks for around 500 baht per day. Koh Ngai Resort includes free kayak use with the room. I have to admit that I got sucked into the relaxed atmosphere here and had spent a lot of days just on the beach before venturing further afield (admittedly I have 2 toddlers to keep an eye on). But I wholeheartedly recommend that you take the time to explore the island on foot. The main beach itself is a good length for a stroll, but for more of an adventure follow the path through the jungle to Paradise Beach. It only takes about half an hour but gives a nice taste of the jungle with all the sights and sounds that you might expect. It is easy enough to find your way and there are signposts along the route. To find the start, you need to follow the path that is by the diving shop at the northern end of Thanya Resort (to the right as you look inland, just before the Fantasy Resort), follow the path along the side of the resort until you find some signs showing you where to go. Once you get going you will be able to follow the path quite easily. There are a couple of steep parts but nothing too tricky and there are some ropes to help you along. There is one turn along the trail that cuts to the left to Ao Mamuang, a small beach and bay where there is some good snorkelling. If you keep right you will emerge at the coconut grove behind the Paradise Beach Resort. Follow the track to the left of the resort and you will emerge on the aptly named Paradise Beach. From Paradise Beach, you can continue to a viewpoint at the end of the island. It takes about half an hour once you have reached the far end of the beach. There are signposts to show you the way. Follow the path past the National Park office and through the jungle. It is a great little walk with a couple of surprises along the way. I won’t describe it too much as one of the things I enjoyed most about this walk was the fact that I didn’t really know where I was going, how long it would take or what I would see, but take my word for it that it is worthwhile. The last section is pretty steep so they have put in a rope to help you up. It’s not too tough but might be a challenge if you are carrying a toddler (I did this walk alone). When I got to the end I wished I had a drone to capture the image of me stood all alone at the very tip of this beautiful island. Koh Ngai is a great place to do some snorkelling. You can snorkel straight from the main beach and will most likely see some nice colourful fish. The snorkelling is a bit better at the Koh Ngai Resort beach than from the main beach. If you are heading to Paradise beach on foot or by kayak, you may like to try snorkelling in Ao Mamuang on the way there. To find even better snorkelling you will need to head out to the karst islets of Ko Maa, Ko Chueak and Ko Waen or take one of the half or full day boat tours that are widely promoted on Koh Hai. 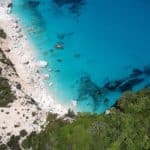 These tours will generally take you to Ko Kradan (the south reef here is excellent for snorkelling), Koh Mook (the spectacular Emerald Cave) and some locations around Koh Ngai or the karst islets. If you would like to explore further afield you can take a day trip by longtail to wonderful Ko Rok. Koh Ngai also offers a few good options for diving day trips to sites such as Hin Daeng and Ko Haa. There are a few different operators along the beach, Koh Hai Divers based at Fantasy Resort, Trang Talay at Thanya, and Sea Open Diving. Koh Ngai has a reputation for being a bit of an expensive place to stay but we don’t really feel that this is justified. Accommodation is way cheaper than on Koh Kradan and the standards are high so we felt we got good value for money here compared to Koh Lanta. This is especially true if you take into account the fabulous beachside location that you get everywhere. 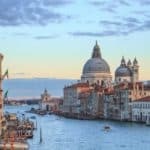 All of the hotels listed are nice and you won’t go far wrong staying at any of them. Just make sure that you book enough nights as you won’t want to leave! We found that the prices for several of these resorts fluctuated quite a lot and were generally cheapest on Agoda, but we always check Booking.com as well (especially worth it if you get a genius discount). 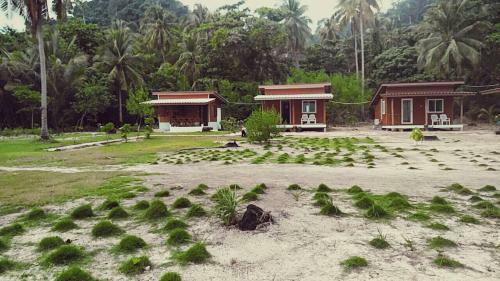 The majority of the accommodation on Koh Ngai is lined along the main beach. It is all pretty low key and fortunately doesn’t take too much away from the paradise island image. The hotels below are described starting from the southern end which is closest to the pier. This is the nicest stretch of sandy beach and the water here is shallow and great for having a swim or paddle. One of the smarter resorts on the island you will find spacious and clean bungalows and a great pool near the beach where palm trees offer shade to the sunbeds that are provided. This is a good option for families looking for more upscale accommodation. The food here is good although a little on the pricey side. Thanya is home to the Sea Breeze bar right at the end of the beach. This is a great place for an early evening drink accompanied by live music. We have stayed here on several occasions and think that it is the best place to stay on Koh Ngai for families. The whole place is really geared up for families with a small play area right by the beach and a nice swimming pool set further back. We think this hotel offers a great value option that sits on one of the nicest parts of the beach. In front of the hotel is a large area that is cordoned off for swimming, so there is no need to worry about any passing longtail boats. The rooms are large and well furnished. The standard rooms are great and located really close to the beach, the superior rooms are the same but on the seaward side of the same building (but without a view). 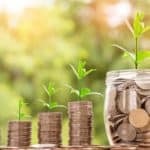 For a little bit more money you can go for one of the larger rooms on the hillside that have great views (we have stayed in superior and deluxe hillside rooms and they are more or less the same and you get a day bed that works well as a place for a toddler to sleep). If you are looking to splurge the large beachfront villas with their own pool look excellent. The breakfast buffet is fantastic and keeps us going all day, there is a freshly cooked egg station, pancakes, rice/noodle dishes, cereal, fresh fruit and plenty of other things to enjoy. At Koh Ngai Camping you can stay in tents with fans and mattresses set up for you. Some of the tents are right on the beachfront offering a wonderful sea view. The tents cost around 1000 Bhat for 2 and you get an American breakfast included. There is a shared shower and toilet block. The Koh Ngai Resort fan rooms are only 200 baht more which I think is much better value but the tents here are a good budget option if you fancy sleepy under canvas and you do get a great location and laid back atmosphere. The restaurant here is popular, the food is good and is decent value. Mayalay Beach Resort is another great place to stay and offers accommodation in cute thatched bungalows. It has a good restaurant (with an evening barbeque) and bar. There are plenty of beach front swings to while away the day under some nice big trees that offer plenty of shade for when you need to get out of the sunshine. Koh Ngai Seafood is the last place that you get to before a stretch of undeveloped land. It offers a handful of simple, clean bungalows we a sea view that are nicely spaced apart on a flat grassy area. This restaurant here is very popular with people coming from other resorts and is a favourite for many people that stay on Koh Ngai. North of the undeveloped area you will find Coco Cottage Resort which is probably the most upmarket accommodation on the beach. The stylish bungalows are mostly built with natural materials as they aim to be an ‘eco-chic’ hotel. It looks lovely and has had rave reviews from people that stayed there. 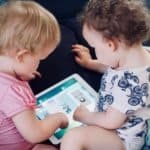 They don’t allow under three’s to stay but couples and older families should definitely check this out. The restaurant serves some of the best food available on the island but it is a bit more expensive than elsewhere. This end of the beach isn’t quite as nice as the southern end and you will find that the water is full of stones and dead coral. The views remain spectacular. Thapwarin Resort is another attractive option that offers bungalow accommodation right on the beach. The seafront bungalows are really special whilst those set further back are still nicely furnished well looked after. The decked restaurant is nice a nice spot for a drink admiring the view. The last hotel that you get to is Koh Ngai Cliff Beach Resort which is built up the hill the sea view rooms have fantastic views from their balconies. The rooms themselves are nice and spacious. As the hotel is built on the hill you will have to negotiate a good amount of stairs to get around the resort, although there is a golf cart taxi to help out. The swimming pool is at the top of the resort and has wonderful views making it probably the best pool on the island. The beach here is at its narrowest and pretty much disappears at high tide but you’ll find some nice snorkelling in this area. The food here is good and it has one of the cheapest restaurants on the island. Breakfast is a buffet if they are busy or a la carte if not. Koh Ngai Resort is right by the pier where the ferries and speedboats drop you off so it is the easiest hotel to get to on the island. With rooms from 1200bht (1800 with aircon), we feel it is a good value low-cost option with a great range of amenities. All rooms include a decent buffet breakfast. When we first arrived here we felt like we were in paradise. The shore is lined with palm trees, and the views over the azure sea to Koh Mook and Koh Kradan are incredible. Koh Ngai Resort has its own beach and there are ample deck chairs and seating areas to comfortably spend a day by the seaside, all with those unbelievable views. There is a saltwater swimming pool with a shallow area for young children, a volleyball court and the massive bonus of free use of their kayaks and snorkel equipment. Just off the beach, you can swim to a coral reef that has lots of colourful fish, although the coral itself is not in great condition. The beach here isn’t as nice as the main beach, it is a bit rockier and there is lots of coral mixed in with the sand so it isn’t so soft on your feet (the nicest part is at the end furthest from the hotel). There are some rocks here that are great for kids to climb and you will find rock pools at low tide filled with fish, crabs, sea cucumbers and various other creatures. You can walk to the main beach in about 15 minutes along a (not that easy) undulating rocky path that clings to the rocky edge of the island. Looking to book a room on Koh Ngai? We recommend using Booking.com or Agoda.com and can recommend Koh Ngai Resort for good value accommodation on this stunning island. We had originally booked 3 nights at the Koh Ngai Resort but ended up staying for 10! And have been back since for another 5 nights. We stayed in the standard room with air conditioning which is great value given the location and that breakfast is included. The room is pretty basic (no fridge/kettle) but it does the job. If you are happy with just a fan they have some bargain rooms available. We have stayed a couple of nights in the pricier bungalows and although they are lighter thanks to the big windows, they are pretty dated and think I would try one of the places on the main beach if you are planning to spend more. There is one newly opened mid-range resort on Paradise Beach. If you are looking for a place that is even more of a ‘getting away from it all’ feel then this is the place for you. The swimming pool is nice and the beachfront bar and restaurant has a great vibe. They have some play equipment for kids and the beach itself if glorious. The nicely furnished rooms are in bungalows that are in a line perpendicular from the beach so don’t expect sea views from your balcony. It is not too far to the beach though and you will find that they have some nice comfy hammocks and bean bags for you to enjoy. All of the hotels described above have their own restaurants. Generally, the standard of food is good but we didn’t find anywhere that really stood out above the rest. We enjoyed the food at Fantasy Resort and it is the cheapest of the options at this end of the beach with good sized portions and free food for under 3’s. The prices at the restaurants are not that much higher than other touristy spots like Koh Lanta (maybe 50-100 Baht more for a main meal). Koh Ngai is small and has no population other than tourists and those that work in the hotels. This means that there are only a few little shops within the resorts and prices are higher than you might find elsewhere. When you see supplies being hauled in from long tail boats you will understand why the prices are a bit higher here. The best shop is at the Koh Hai Fantasy Resort where you can buy all sorts of essentials at reasonablish prices (eg.25 baht for a small bunch of bananas, 40 baht for a Cornetto, 250baht for 15 nappies/diapers). Thanya, Mayalay and Koh Ngai Resort have smaller shops with a few snacks. The thing that is expensive on Koh Ngai is water which is around 50 baht for 1.5-litre bottle. We took several big bottles with us and made sure we drank a lot at breakfast. Hotels will usually give you a couple of small bottles of water every day. 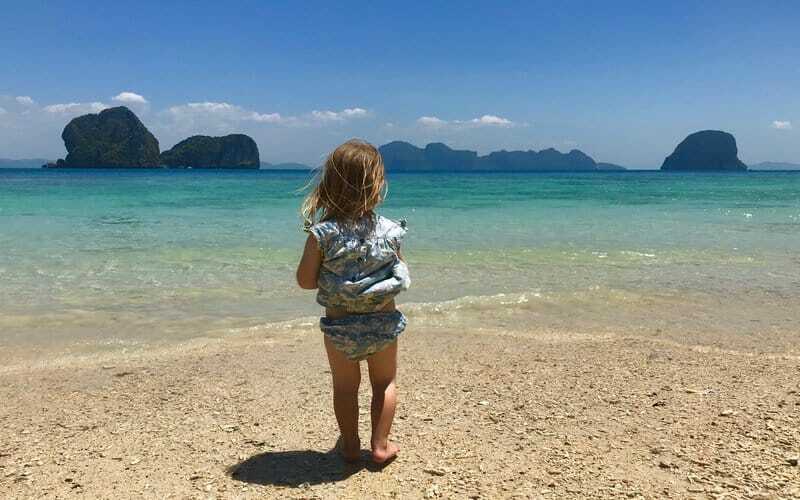 If you are travelling with young children we can’t recommend Koh Ngai highly enough. Sandy beaches, warm, calm and shallow sea, good accommodation, no roads or traffic. Koh Ngai is just about perfect. 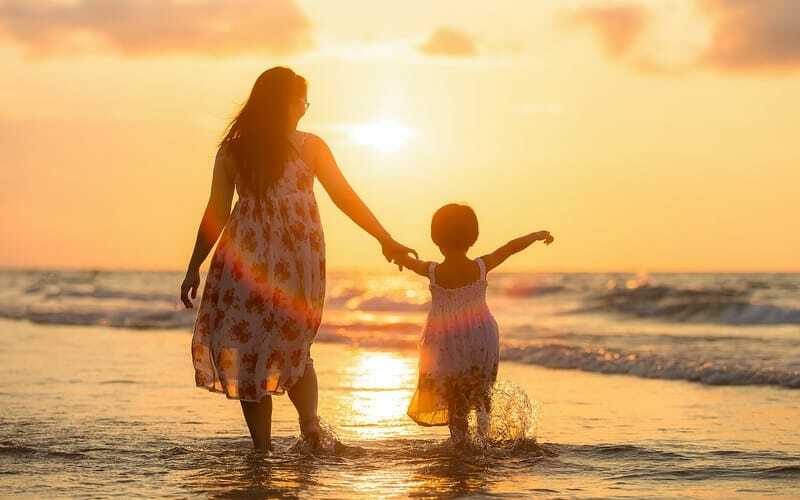 While away your days building sandcastles in the sand or take your little ones out on a kayak or for a snorkel, it’s the perfect place to learn! We keep coming back here, have been to loads of islands and this is still our favourite. 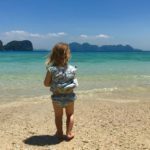 Thank you for reading our guide to Koh Ngai. I think it is obvious that we like it here and if you are planning a trip to Koh Ngai we hope that you will love it just as much as we do. Have you been to Koh Ngai? Or have we inspired you to add it to your own list of dream destinations? My husband and I have Islands as our vacation theme for sure, and we’ve been talking about Thailand too. So I’m super excited to learn about Koh Ngai! It also sounds like a perfect place to get into that Island time state of mind and just relax. Thanks for sharing and giving me a great idea! Thank you, I am so happy pleased that we have provided some inspiration to you and your husband. I definitely recommend it if you are looking for somewhere that is peaceful, beautiful and affordable. Koh Ngai looks like a really fabulous beach resort and the waters look especially clear. Being isolated definitely has its advantages. I had the privilege to live in South East Asia for many years and finding a quiet place is especially nice. Never had the opportunity to go to Koh Ngai, closest would have been Phuket which, as you know, is quite touristy. Did you have lots of fresh caught fish and other seafood? Yes, the water there is beautifully clear. I am not a big seafood lover so I didn’t eat much myself, but I did see fresh fish being brought in by fishermen every day so it is definitely something that is on offer. What a beautiful island! I have never been to Thailand, but I know so many people who have and absolutely love it. I will add it to my bucket list. 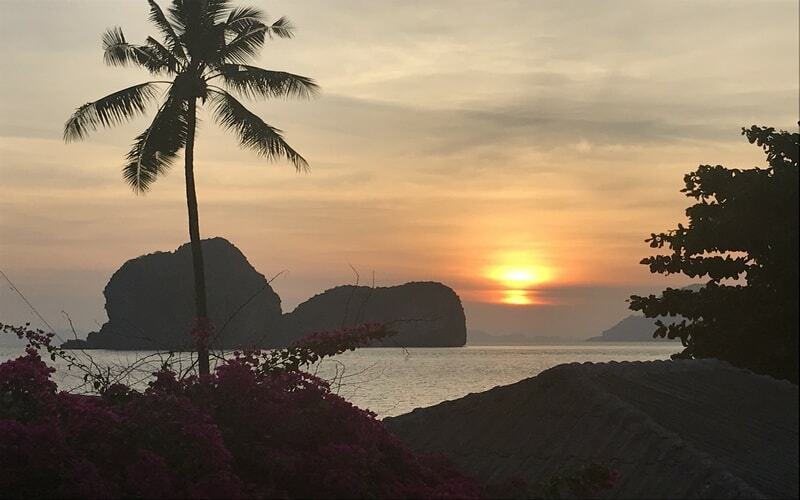 Your review on Koh Ngai is what sold me–looks so beautiful and serene. It seems very relaxing. What time of year do you recommend for travel to Thailand? My husband and I aren’t too adventurous, but we would love to break out of our shells. Would Thailand be a good location for people like us? Thank you for you comment. Yes, Koh Ngai is stunningly beautiful. The best time to visit is December to March when you should get perfect weather everyday. Thailand is ideal for people like you that don’t feel too adventurous, it is a very easy place to travel and has all the facilities you could want. 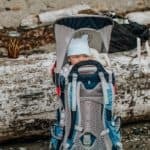 You may like to read our post on Travel to Thailand with a Baby even if you do not have a baby it covers things that you may have concerns about (health, weather, food etc).